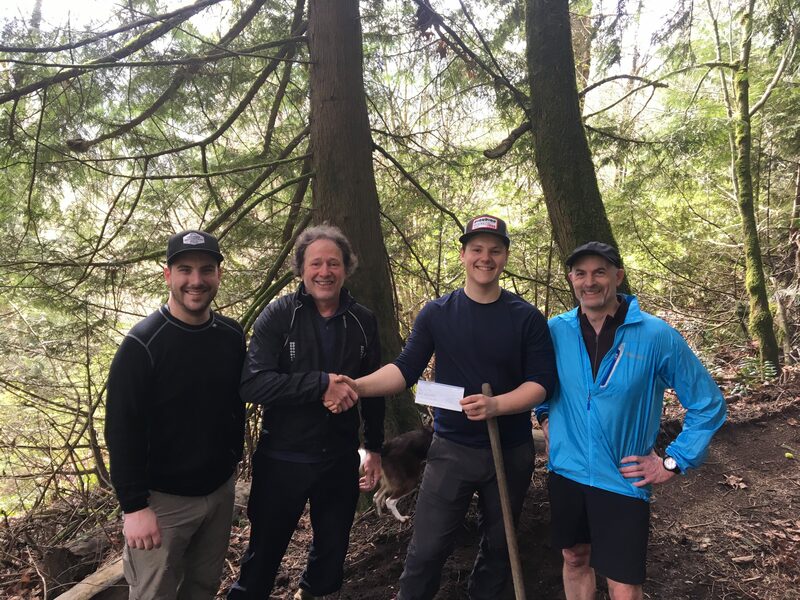 Cultus Lake – The success of the 15th annual Around the Lake Trail Race at Cultus Lake last October has resulted in the race organizers recently handing out over $6,000 to local non-profit organizations. 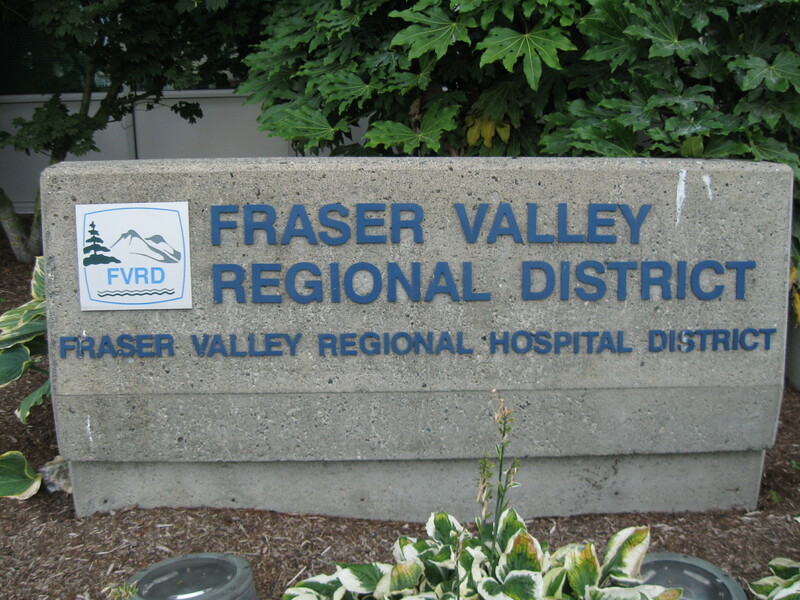 Leading the donations was a $2,000 cheque handed to representatives of the Fraser Valley Mountain Biking Association while they were out working on trails on Vedder Mountain. 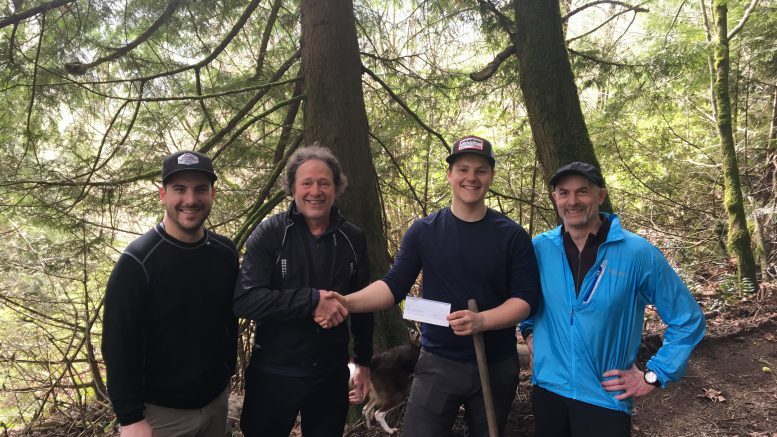 Other donations made by the Around the Lake Trail Race Society and Committee were: $1,000 to each of the Chilliwack Outdoor Club, the Vedder Mountain Motorcycle Club, and the Chilliwack Park Society. A $500 donation is made to the local St.John’s Ambulance brigade, which helps out on race day. Another $1,000 goes to a bursary awarded to a student in the Chilliwack School District − the second year the Around the Race Society has made the award to a local student. Applicants for the award are asked to identify what the outdoors and nature mean to them, as well as maintaining a good grade average. The popular race, which circumnavigates Cultus Lake on a variety of trails and some roadways, sells out every year, with some 315 participants who choose to either run the entire 30 kilometre race solo, or as part of two-person relay teams covering legs of 17km and 13 km. There is also a 60km ultra event, where participants do a double loop of the course. The event relies on 60 volunteers to assist in directing and supporting runners. The 2018 Around the lake Give or Take event will be the 16th annual race, and will be held Saturday, October 13th. Be the first to comment on "Cultus Lake Around the Lake Trail Race Hands Out $6K To Non-Profits"